This book will serve to inspire readers of the power living around them. 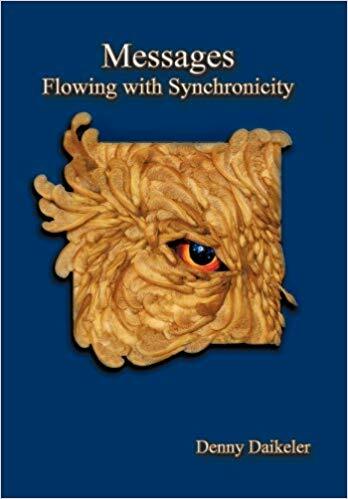 Putting to words what people find hard to say out loud, Denny Daikeler provides a helping hand through “Messages: Flowing with Synchronicity.” The book explains that there is a certain power that surrounds every individual and that power influences one’s life. By providing true stories, readers will be able to see the experiences of others in an outward perspective and reflect on their own experiences as well. The stories in the book will serve to inspire the audience as they see the magic of the inherent power. With proper faith and belief, life will seem to look magical as readers then see that nothing is impossible in life and that some things are not always within one’s control. It is important that readers take a leap of faith before immersing in the book and have the courage to accept the experiences that will touch their hearts forever. Denny Daikeler’s “Messages: Flowing with Synchronicity” will be making a comeback at the 2019 LA Times Festival of Books on April 13–14, 2019. Avid fans should look out for this. Denny Daikeler is a talented woman with quite the ability in writing and interior design. With the hectic schedule of raising a family, she has managed to become ordained as an interfaith minister and has become part of a liberal church community. Her book has been inspired by her experiences with the community and her exposure to reality. Because of this, she created something beautiful to help other people become more aware of their surroundings and appreciate the obvious things that others might fail to notice.